ASUS EP121 Eee Slate Running out of Battery? We’ve developed a solution! There is no need to throw your hands up in frustration at short battery life any longer. With the XP8000 and our new tip you can plug in the portable battery and get instant power. With a 4 hour charge time you’ll get an extra 4 hours from your ASUS EP121 Eee Slate. Now you can watch extra video, play those games and listen to music, all without the fear of draining your battery and being caught on the move with no technology! This compact 10 cm x 7 cm, light weight (223g) portable battery plugs directly into the USB for instant charging. You can charge up to three devices at once and comes with 15 tips for a variety of mobiles, tablets and netbooks including iPhone, Blackberry, Samsung and Nokia phones (check here for applicable models). It comes pre charged out of the box and maintains charge for up to a year! Carry this nifty charger in your bag and you’ll never be caught powerless again! 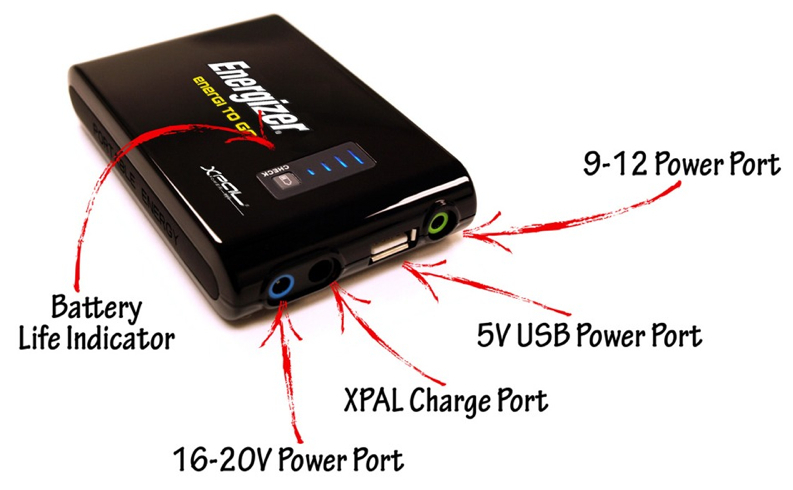 Click ‘Like’ on our Facebook page before 31st July, 2011 and you’ll go into the draw to win a XP8000 Energizer® Energi to Go® Netbook Portable Charger!